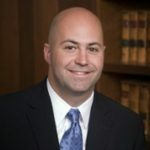 An article by Sam Nicholson, titled “Bill Trims Rights not Costs.” explains how a current proposal currently before the Georgia (GA) General Assembly will devastate families already injured by doctors through medical malpractice. The proposal will take away their right to trial by jury bestowed on citizens by virtue of the United States Constitution. The “Patient Injury Act” (aptly named because it will further injure patients) will replace our longstanding civil justice system with a more burdensome, even further taxpayer-funded government bureaucracy. The proposal is falsely touted as a way to reduce health-care costs by replacing an allegedly broken malpractice system. Below are just a few of the main claims of those supporting this horrible proposal, and then why this proposal will not reduce health-care costs but instead will harm patients. Medical malpractice insurance is expensive for doctors so they pass on the cost to patients. False, for several reasons. 1. $3,549 is the total most doctors paid for my malpractice insurance for all of 2013. Don’t believe me? Click on the link to read an article written by a doctor who doesn’t believe in tort reform. 2. This proposal will save doctors money by reducing the amount of money an injured patient can receive. But how does the proposal intend to pay for the new layer of government? By taxing doctors, dentists, nurses and hospitals to the tune of $29.5 million each and every year. 1. By 2011, the number of paid medical malpractice claims dropped below 10,000 and the total amount paid was less than $3.2 billion. That’s a 40 percent drop in the number of paid claims and a 29 percent drop in the total amount paid from previous years. 2. “…pounds of flesh, above and beyond what is necessary,” Do you know that medical malpractice lawyers do not arbitrarily decide an amount that is reasonable compensation for a medical malpractice recovery? Instead they hire specialists that can estimate the costs of future medical expenses and surgeries. And then the parties negotiate. 3. “Don’t lawyers get about one-third or more of the award?” The one-third that lawyers receive is a contingency fee. This provides access to counsel for individuals who would otherwise have difficulty obtaining representation, and cannot afford to pay upfront hourly fees. I strongly support the patient injury act for numerous reasons. First of all, the only people that are benefited by our current corrupt medical malpractice system are the plaintiff attorneys like Rick Shipiro. Yep, he gets a 40% contigency fee on every case he wins. So if he wins a $1 million verdict, $400k comes off the top and goes into Rick's pocket to pay for the Shapiro yacht. His client gets what is left over, including the bill for the court costs, (often >$100K). By the way, Rick only wins 15% of the time at trial and it takes him 3-4 years to get to trial. If you win a verdict of < $150K, court costs and Rick's fee come out first and you get nothing! That means that if you case goes to trial you have a 1 in 20 chance of getting any money at all after 3-4 years (and probably longer) of litigation. Medical courts as envisioned in this law could drastically reduce the time as qualified medical professionals would be evaluating these cases, not stupid judges and greedy plaintiff attorneys. This law would cut down on court costs and allow more people access to express their gripes and get their cases fairly adjudicated. Hey, we do this with Worker's compensation and we have manditory arbitration in securities litigation, we should have it here, in medical courts also.